Erin loves helping members create innovative work environments that activate their employees’ intrinsic motivation through training, coaching and team building. She also excels at meeting/retreat facilitation and board development. Prior to joining the Cascade team, she was the VP of Research & Development at Personal Resource Management Associates, Inc., where she specialized in leadership development and management consulting. 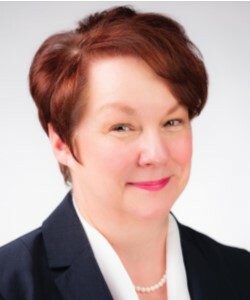 She currently serves on the board of the Association of Talent Development (ATD) Cascadia Chapter and has been an active member of the Oregon Organization Development Network (OODN), where she provided consulting to the leadership of many Portland-based nonprofits through the organization’s Community Consulting Project. 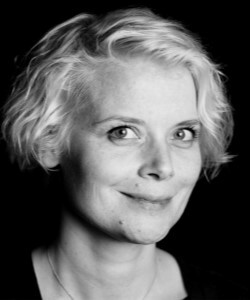 Prior to her work in organization development, Erin worked as an attorney in California in the public interest sector. Erin received her B.A. from UCLA and her J.D. from Loyola Law School, Los Angeles. When she’s not working, Erin loves learning new skills and going on new adventures with her husband, Jon, and their 115-pound black lab, Buster. Jenny Dresler joined the team at Public Affairs Counsel (PAC) as Director of Grassroots and lobbyist. She previously served as director of state public policy at the Oregon Farm Bureau. As director Jenny oversaw state lobbying on key issues—tax, employment, environment, and regulatory—and was the organization’s grassroots coordinator. Prior to Farm Bureau, Jenny worked for the Oregon Senate Republican caucus office and focused on natural resources policy. She began her professional career as an aide to U.S. Senator Roger Wicker (R-MS) in Washington D.C.
She has a Bachelor’s degree in biology and a Master’s degree in environmental science with a focus on general business. 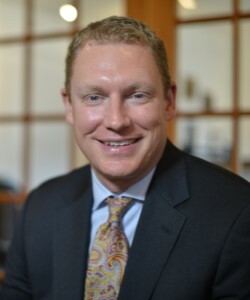 In October of 2013, Chris Eyler assumed the position of Executive Director, Northwest Region for the U.S. Chamber of Commerce. In this capacity, he represents the Chamber throughout the states of Alaska, Idaho, Montana, Oregon, Washington, and Wyoming. In this role, he is responsible for developing and maintaining relationships with lawmakers and their staffs, creating and cultivating relationships with local and state chambers, and activating U.S. Chamber members on key policy issues. He also develops grassroots legislative strategies and identifies emerging issues in the region to enhance the legislative agendas of and provide services to Chamber members. Greg has built his career on creating compelling brand stories for some of the best-known brands in the world. 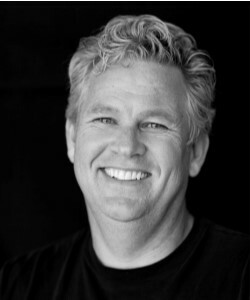 In addition to opening the agency that launched Red Bull in the U.S., and managing Oakley’s agency during its transition from a private to a public company, Greg has helped redefine brands including Sony, Land Rover, Virgin America, HBO and Ketel One Vodka. Greg currently serves his clients through BrandBirth, where he breathes new life into existing brands and creates resonant brand foundations for start-ups and evolving brands. Through BrandBirth, Greg partners with creators and entrepreneurs looking to define and execute on their brand promise and present their story to consumers in more innovative, empathetic and unexpected ways. Over the past two years, Greg has partnered with the W.A.C.E. to bring this small business experience to bear in defining the long-term vision and brand promise for Chambers of Commerce throughout the West. Robert is the Director of Membership Development at the Springfield Area Chamber of Commerce. Robert Killen’s professional life can be described as a study of ‘hyper-intentional communication’. During his early career as an artist and graphic designer he focused on visual communication, specializing in brand refinement. Robert then transitioned to banking, where embraced stories told in numbers and trends. Later, as director of the City Club of Central Oregon he began to study how communication might be used to clarify and to heal within both the personal and organizational spaces. Over three decades Robert has become an expert and passionate champion of organizational storytelling, facilitated dialog and other change-making communication methods. Nathan Knottingham is a Northwest local with roots in Oregon for five generations. He currently lives in Washington with his wife, Billie, and two children - Titus and Trinity. 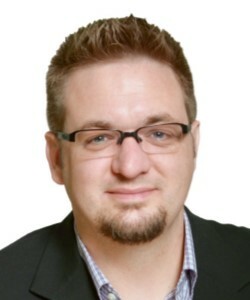 Nathan entered the mortgage industry May of 2007 as a Licensed Loan Originator in Oregon. During the next 5 years he built his business as a loan officer in a private brokerage. 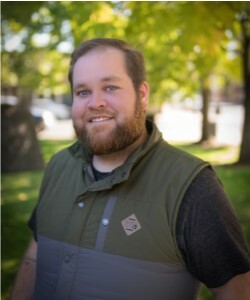 After serving as the President/CEO for the McMinnville Area Chamber of Commerce Nathan joined The Knowledge Coop as the Director of Content Development in August of 2016. Nathan is community minded, business oriented, and results driven with passion and an eager attitude to leave a place better than he found it. Vonnie Mikkelsen is the President and CEO of the Springfield (Oregon) Area Chamber of Commerce. The Springfield Chamber is comprised of 750 member organizations in the Eugene-Springfield metro and surrounding Lane County communities, and employs seven full-time professional staff. 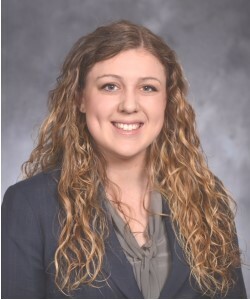 Mikkelsen is a native Oregonian with roots in the Eugene-Springfield metro area, holds a Bachelor’s Degree in International Relations and Political Science from Willamette University, and has over ten years’ experience in industry association management. From 1986-2002, Mikkelsen lived and worked in Japan first as a teacher of English as a foreign language and later with Tokyo business and government officials to plan and promote a World’s Fair, and in cable television acquisitions and programming for Cartoon Network Japan. During her tenure as Executive Director for a rural Chamber of Commerce in Pasco County, FL, Mikkelsen earned the community’s Economic Development Champion Award for advancing regional public-private sector collaboration. 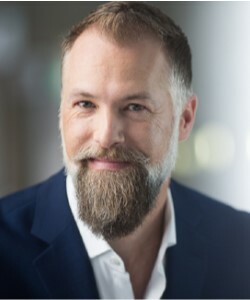 Mikkelsen is a member of the Association of Chamber of Commerce Executives, the Western Association of Chamber Executives, and serves on the Oregon State Chamber of Commerce Board and Government Affairs Council. Dr. Sue Rieke-Smith is an eighteen-year career educator. She is currently superintendent of Tigard Tualatin School District 23J in Tigard, Oregon. In addition to her work as superintendent, she serves as adjunct faculty for the University of Oregon College of Education graduate education leadership program, is an active member of the Confederation of Oregon School Administrators and AASA School Superintendents Association, engaged in public education advocacy work at the state and federal level. Paige is the Program Manager at the Springfield Area Chamber of Commerce. A Pacific Northwest native, Paige is originally from Corvallis, Oregon, but spent most of her life up in Castle Rock, Washington – a small town near Mt. Saint Helens. In 2013, she earned her Bachelors in Business Administration degree, with concentrations in Marketing, International Business, and HR Management from Gonzaga University. GO ZAGS! After working for two years with Leadership Spokane, she spent three years living and working abroad, including two years as a Community Economic Development Volunteer with the Peace Corps in Namibia. Paige is a strong advocate for community development through programs promoting education and small business leadership. In her free time, Paige enjoys heading over to the coast with her dog Lily. Lily is originally from Namibia, but is enjoying Oregon very much. Caleb Thomas is the Marketing Director for the Redmond Chamber of Commerce. He is a photographer, filmmaker, storyteller, and marketing guru. His work promoting non-profits has taken him all over the northwest, as well as the world. He graduated from Oregon State University in 2011 with a degree in New Media Communications. He spends his free time exploring Central Oregon with his wife Devan, their dopey dog Dwight, and their feisty river cat Han. Follow him on Instagram at @calebtakesphotos and @visitrdm. J.L. 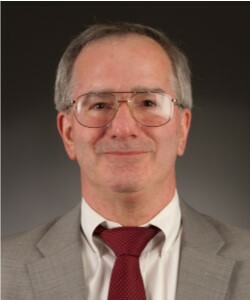 Wilson is the principal of Public Affairs Counsel, a Salem-based public affairs firm and a leading provider of government affairs, campaign, association management and survey research services for 37 years. 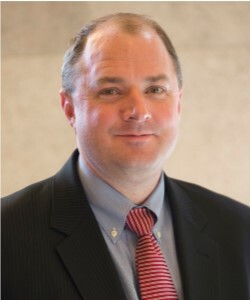 Prior to joining Public Affairs Counsel in 2014, Wilson had a 15-year history in association management as past Executive Director of NFIB/Oregon and past Senior Vice President of Government Affairs at Associated Oregon Industries. Wilson has also been a full-time lobbyist representing business interests since 2000. Before starting his career as an association manager and lobbyist, he served as Legislative Director for two Speakers of the Oregon House.